With less than 20 games remaining in the 2018 MLB season teams are being eliminated each day. 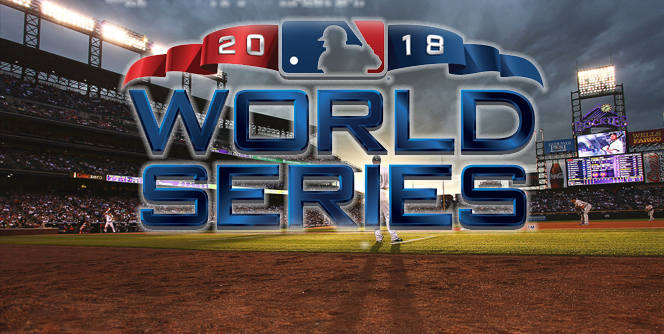 Let’s take a look at the current betting odds to win the 2018 World Series. It is no surprise that the Boston Red Sox have the best odds to win the World Series. The Red Sox are the first team to clinch a playoff berth this season and are one win away from reaching 100 wins on the season. 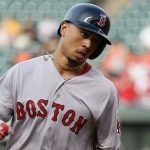 The Red Sox feature a dominant pitching staff and two of the best players in baseball in Mookie Betts and J.D. Martinez. The Red Sox are loaded. The Houston Astros were able to play through a ton of injuries in late July and August and now appear to be hitting their stride. The Astros have a dominant starting rotation, and one of the deepest lineups in baseball. The Astros should head into the playoffs with a complete roster and a great chance to repeat as World Series Champions this season. The Chicago Cubs have the best odds out of any team in the National League, but are in a tight race in the National League Central. The Cubs finally have Kris Bryant back in their lineup, and the addition of Daniel Murphy gives them another proven postseason hitter. The Cubs still have plenty of question marks with their starting rotation, but no team in the National League has had a better four year run than the Cubs. The Los Angeles Dodgers still have some work to do if they are going to make the playoff field in 2018. Entering play on Wednesday, the Dodgers still trail the Rockies by one game in the NL West, and are a few games off the pace in the Wild Card standings. Los Angeles features a a deep and talented lineup, but their bullpen has been struggling of late. The New York Yankees are still awaiting the return of Aaron Judge to their lineup, but have gotten several other players back of late. The Yankees have fallen well off the pace in the American League East, and will likely host the AL Wild Card game to kickoff the playoffs. If New York can survive that game it will set up a huge matchup with the Boston Red Sox in the ALDS. The Cleveland Indians are cruising to another AL Central crown, and have kind of been flying under the radar this season. The Indians still have Corey Kluber as the ace of their staff and Trevor Bauer is a terrific number two. Jose Ramirez and Francisco Lindor lead a vaunted offensive attack. Don’t sleep on the Indians come October. The Atlanta Braves have opened up a seven-game lead in the NL East, and appear to be headed for the playoffs. Rookie Ronald Acuna Jr. and veteran Freddie Freeman have carried the Braves on offense this season. The Braves could be a very good sleeper pick entering the 2018 playoffs. The Rockies are trying to hold off the Dodgers in the NL West, but if they do could present a threat to NL teams in the playoffs. The Rockies lineup is filled with sluggers led by Nolan Arenado and Trevor Story. 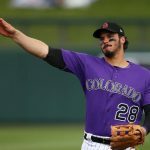 The weather in Colorado could play a factor if the Rockies are to reach the playoffs. This might be the best bargain bet on this whole list. The Brewers have a real shot to win the National League Central, but will make the playoffs as a Wild Card if they don’t. Lorenzo Cain and Christian Yelich have been great for the Brewers in 2018, and they have the most feared bullpen in all of baseball. The Brewers won’t be an easy team to beat in the playoffs. The Oakland Athletics continue to put pressure on the Houston Astros in the AL West despite losing their entire starting rotation to injury. Sean Manaea was just lost to shoulder surgery this week, but the A’s continue to win games. The Athletics will likely have to deal with the Yankees in the AL Wild Card game, but don’t ever count them out. 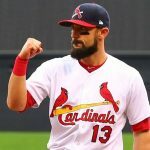 The Cardinals have been the hottest team in the National League since the All-Star Break and have been winning games with a young starting rotation. Matt Carpenter is an MVP candidate this season and Jordan Hicks and Carlos Martinez provide a solid 1-2 punch in the bullpen. The Cardinals always seem to find a way to make magic in October. The Arizona Diamondbacks and Philadelphia Phillies have +3500 odds to win the World Series, but it is not likely that they will reach the playoffs. Both teams will need a huge run if they are going to catch the teams in front of them. It’s not worth betting on one of these teams at this time.